As promised, here are some stardate apps and widgets. In the past I've written about a lot of iOS apps. I did not write about Android apps simply because I didn't have an Android device. But I got a Motorola Moto G some time ago, so I might as well write about Android apps now. 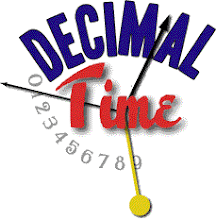 Someone asked what decimal time format I prefer, so I figure it's time I explain again the ones used on this site. I like to listen to podcasts, often while on road trips while others are listening to music on the car stereo. Five years ago I posted about some Bluetooth headphones. Since then I've tried various ones. Recently my wife bought me a S530. I must say that it's amazing! It may be just as good as some of the other mono Bluetooth headphones, but it costs only $6-8. It supports the A2DP audio profile, so you can listen to music, audiobooks and podcasts, and it supports the AVRCP profile for remotely controlling audio/video controls, e.g. pause, play, etc. And it uses Bluetooth V4.0 with the low-energy standard. It may not have as long of a battery life as the others, but that's because it's tiny! The vernal equinox arrives tonight at 04:29:51 UT (57467.18740). That's 9:30 pm on Saturday night here in California. It means that I am officially on Spring Break, so I'll have more time to post here for the next week, if I don't get called for jury duty. It also means that holidays are coming for all my Catholic, Protestant, Orthodox and Jewish relatives. Someone just edited the Wikipedia article on Swatch Internet Time to add a link to this TechRepublic article from from last year. The article doesn't say anything new, but it does talk about the problems with time zones and Daylight Saving Time that Internet Time was supposed to solve, which happens to be apropos to the DST post I wrote yesterday. It happened again today. I lost 4% of a day of sleep due to Daylight Saving Time. We didn't have it when I was growing up in Indiana; it just meant that all our TV shows shifted in their schedules. My mom also grew up in Indiana, which now has DST, but now she lives in Arizona, which doesn't; coincidence? Nobody I know seems to like it. So why do we have Daylight Saving Time?